Phat Tape was designed with hockey players in mind, although their adhesive sports tape has many other uses. 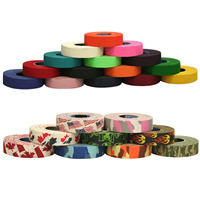 With 24+ hockey tape designs, PHAT TAPE continues to be one of the longest tape offerings in the industry for hockey pant tape. Phat hockey tape offers roller hockey and ice hockey participant's quality products and convenience at a reasonable price. And, it doesn't hurt being cool! PHAT TAPE, Inc. is heavily involved with sponsorships and partners like USA Clinics, 2 Hot 4 Ice, State Wars Hockey, National Inline Hockey Association Canada (NIHA), ECHO Tournament Series, UCF Roller Hockey and Tour Cup Series. 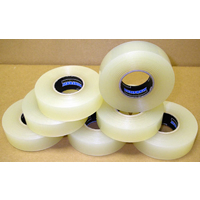 PHAT TAPE, Inc. was established in 2001 as a wholesale distributor of specialized ice and roller hockey tape headquartered in Jacksonville, Florida. PHAT TAPE was designed with Hockey in mind, although our adhesive sports tape has many other uses.